Note: The majority of material included in this post comes from what I consider to be the best biography (combined with a bit of literary criticism) of Marie Corelli: The Mysterious Miss. Marie Corelli: Queen of Victorian Bestsellers (2009) by Teresa Ransom. When I conceived of the idea to write about "Thought-Provoking People" on my blog, I decided that the only criteria for choosing a subject would be whether or not that person had the ability to interest me beyond a simple reading of his or her life and/or work. And, of course, qualifying as interesting or "thought-provoking" does not always (and usually doesn’t) equate with being nice. Just as I often say about Augusta Evans Wilson, who I also wrote about, "Augusta is an interesting woman, but I am not sure that we could have been friends." The same can be said of my first subject for this new posting project. Marie Corelli is as enigmatic as she is infuriating. But her life, little-known to most people today, is one that is amazing and important in so many ways. I immediately knew that she would be my first subject to cover. I don’t necessarily like her and I don’t consider her work on par with some of the heavy hitter novelists of the Victorian era, but Corelli’s work IS important for so many reasons. Here is what I know of her and why I find her fascinating. Unless cited, all work/words are my own. And, even though I don't make money from this blog, this post may not be reproduced without permission. By the time she died on April 21, 1924, Marie Corelli, the woman who "made up [her] mind to be 'somebody'…as unlike anybody else as [she could]," occupied the roles of novelist, spiritualist, feminist, and celebrity (Ransom 1). In spite of the public’s adoration for a tiny woman (she was under five feet tall) whose work they had followed since the mid-1880s, when she died people found they could verify very little information about her life. The same can be said today. Records are nonexistent or muddled, sometimes by Corelli herself. 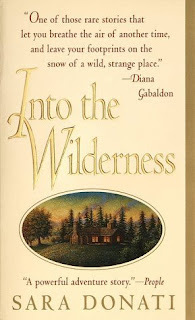 Secretive about her past to the bitter end, perhaps the only clues we can gain about her strange life appear in her novels—books that, as time went on, usually became explorations of a particular personal or autobiographical moment of time. Fiercely passionate and unafraid to place her most intimate thoughts and encounters on the page, Corelli (if, indeed, that was her real name) left behind her a powerful legacy that, nonetheless, "rapidly faded from public memory" (Ransom 221). As her most recent biographer, Teresa Ransom, says at the end of her amazing narrative of Corelli’s life, however, this late Victorian writer holds tremendous appeal for a contemporary audience—if they would only seek her out. "She was a fearless fighter, who sometimes mistook her targets, but who fought with a passion which swept all before her," Ransom explains. "She came from nothing, and against huge odds became a superstar and one of the most famous women of her time…Numerous children were called after her heroine, Thelma, whose name she is said to have invented, and many of her mystical novels are much in tune with today’s interest in reincarnation and astral travelling" (Ransom 223). Corelli was unusual for her time, and her story is inspiring not only for her accomplishment of becoming one of the most popular writers of the late-Victorian era but also for her ability to survive. Even today, we still don’t know when Marie Corelli was born—or to whom. She doesn’t seem to have known herself; or, if she did, she kept it a great secret. We can guess that she was born in 1855, perhaps in Italy…or, perhaps not. She often lied about her age, presenting herself, at times, as over a full decade younger than her actual age. She said, and as some records appear to indicate, that Charles MacKay was the man who adopted her. She never spoke much about her mother and the two did not seem to be close. What does come up over and over again, particularly in a very autobiographical novel produced near the end of her career titled Innocent, is the idea of illegitimacy. Most scholars agree that Marie was probably illegitimate, though no one is even sure if the woman she called her mother was actually her mother. We do know that Charles appeared to love the child, who at that time went by the name of Minnie MacKay. As Ransom points out, however, there are disturbing details that emerge from this relationship. Though Ransom never specifically states what those details might imply, one thing she does say is that MacKay would have his male friends to the house and request that Minnie/Marie entertain them, often allowing them to touch and make over the child. Now, again, I am not sure what this means, but the way Ransom relates the story is disturbing. She also explains that by the time Minnie/Marie reached adolescence, MacKay suddenly sent her away to a convent school. The relationship between father and daughter, though changed, was extremely informal for its time. Their correspondence is frank and quite modern, leaving off the stilted and distanced tone one finds in most letters between fathers and daughters during the nineteenth century. As for close family and friends, the group appeared to be tightly knit and exclusionary. Minnie/Marie had a brother (not sure if he is genetically related or not, though some suspect that Charles MacKay could have been Marie’s true father), Eric, who would plague her for many years, constantly taking advantage of her fame and fortune. When her mother died, Marie’s close childhood friend, Bertha Vyvers, came to live with the family, and the two women lived together for the rest of their lives. Some scholars contend that Marie and Bertha were lovers, however, this, also, is too murky a subject to verify. The women were certainly close and scholars tend to base their ideas about the potential lesbian relationship on the correspondence between them and the fact that their initials are entwined at their last known residence. As for Ransom and myself, we are not so sure. Like Ransom, I have read much correspondence between females from this time period and it is not unusual for a more touchy-feely relationship to emerge in the letters—and in life. Still, I could care less about her sexual preferences. Marie did, in later life, have a love affair with a man, Arthur Severn, so at the very least we would consider her to be bisexual. In any case, Marie appears to have been sheltered and isolated from the world, but she continued her adoration of Charles MacKay until he died. She continued to act the little girl around him, a persona that found its way into her correspondence with editors at famous journals as she tried to become a published author. For all intents and purposes, she hounded the editors in an effort to persuade them to publish her work, beginning by pleading with them in a little-girl voice to verbally punching them with a tirade when they refused her. Marie’s own "adoptive" father (sorry…I believe he could have been her father) was a writer and apparently worked with Charles Dickens early in the famous novelist’s career. He implored editors to publish his daughter’s work, but for the most part was unsuccessful. When he died (1889), he left everything to Marie and canceled out any inheritance for Eric, a not-so-great poet who preferred to sponge off of his sister and make her life miserable. But at least Charles lived long enough to see his daughter publish her first novel, A Romance of Two Worlds (1886). "Miss Corelli’s novels were not only novels but manifestos… Her views though passionately held were negligible; she knew little; she wrote often, very ungrammatically; her stories and her people were like nothing on earth. But nobody succeeds as a novelist with any public without some positive qualities." Love her or hate her, Corelli was a force to be reckoned with in the end. Perhaps her popular appeal rested not only on her ability to tell a fast-paced story but also in the strange content she relied upon for her plots. A Romance of Two Worlds is a strange novel even by today’s standards, involving a type of astral travel and the concept of twin souls. Corelli returns to this world (a place that exists somewhere in the realm of spiritualism, science fiction, and steampunk) several times in her career as a writer. By the time she wrote these words, in 1896, Corelli was a superstar in the world of novel writing. She had tremendous power and influence—but she also had a knack for making enemies. As I read through Ransom’s account of Corelli's life, I came to realize that Corelli was a very unstable person, capable of bestowing much love on a person for a short time and usually breaking off with that person at some later point. The exclusion to this rule takes place within her relationship with Bertha. But rarely did she maintain relationships for life, and this earned her a bad reputation, particularly in Stratford-Upon-Avon, where she and Bertha spent most of their adult life. Marie Corelli lived in Mason Croft, a house that has since become the location of the Shakespeare Institute in Stratford. Honestly, if I had known more about Corelli’s involvement in Stratford’s nineteenth-century history, I might have enjoyed my time there more (I think Stratford is a huge tourist trap and it is not my favorite place). In any case, Corelli began to alienate herself from the influential members of Stratford society when she had an argument with a Mr. Bloom. Bloom’s daughter, Ursula, was a favorite of Corelli’s. The child innocently asked if Corelli was divorced, and Corelli panicked. 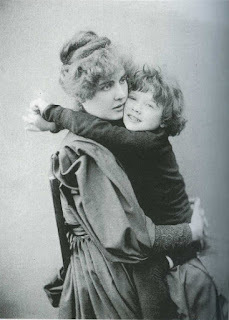 She scooped up the child, who said she had heard the information about Corelli’s divorce at home, and took her back to her parents, demanding to know why they would tell the girl such lies. This is the story that first made me realize that Corelli was a bit unstable. In the beginning, she places no blame on the little girl (who, according to Ransom, had no idea what the word "divorce" even meant). As time passes, however, Corelli eventually excoriates the child in venomous language…and that just doesn’t make much sense. The crisis for Corelli, as Ransom explains, is that "divorce" or "illegitimacy" as words attached to anyone in this point in history would be enough to cause shunning--a fate Corelli could not bear. Regardless, Corelli was burning bridges. Still, her legacy in Stratford survives today. She largely was responsible for saving Shakespeare’s residence, fighting with locals who wanted to tear down the cottages and build a library on the location. More time passed and more novels were written (you can look up all these on Wikipedia and Amazon has several available in Kindle format). When she was in her fifties, she met a married man named Arthur Severn, and the two of them began a long affair. "I am not unpleased with the bitter-sweet taste of this new sensation. I am conscious of joy when you are near me, and of desolation when I see you not at all—both joy and desolation are equally subtle in sweetness. …Nothing in the strangest fiction is stranger than I should love you,--I who have loved no one,--or rather, to be quite truthful, I, who have had no one to love. …To my mind all life is rounded in the one orbed fact that YOU live; and if you live no longer I too should cease to be, for the very air bereft of your breathing would have lost its power to sustain me. But this is my secret….It has come to me in its transfiguring mystery and magic when I had no thought of it coming, --when the warm firelit silence of the room in which you and I were alone for a space together gave me no hint of aught save the most ordinary peace…when your sudden kiss started my soul from its house of quiet, and your arm for the first time encircling me, marked the future boundary of my life…You will, if you are honest with yourself and me, admit that the patient peace of my life was simple and endurable enough till your touch unfastened a locked door within my being and set loose a crowd of long-imprisoned emotions." "I can dwell for hours on the merest memory of your touch—a touch that thrills me to the centre of my being; and your kiss on my lips, long and passionate, separates my soul from all common things and thrones me with angels in supernal joy. Moreover, the consciousness of your love gives me a power beyond mere mortality,--it is time I saw to drop all effort at pleasing those whose pleasure is indifferent to us,--and to take full possession of one’s own identity, one’s own destiny. We harm ourselves infinitely by imagining duties and ties to this or that person, when such ties and duties hamper the soul in its wider and nobler attainment…and those who would force us to walk in one cramped path of routine should be broken away from and left with all possible speed." "Sometimes it happens, even in the world of cold and artificial convention, that a man and a woman are brought together who, to their own immediate consciousness, have had no previous acquaintance with each other, and yet with the lightest touch, the swiftest glance of an eye, a million vibrations are set quivering in them like harp-strings struck by the hand of a master and responding each to each in throbbing harmony and perfect tune. They do not know how it happens—they only feel it is…. No force can turn aside one from the other, --nothing can intervene—not because it is either romance or reality, but simply because it is a law. You understand?" The relationship began to sour, however, and Severn turned on Corelli. As the Severn affair began to deteriorate, "He humiliated her and argued with her in public; he mocked her writing and left her intimate letters to him lying around so that his family or any stranger could read them. Yet he still took advantage of her generosity, he still went for holidays with Marie and Bertha, and still visited her in Stratford. Marie may have been behaving foolishly, but Severn’s behavior was cruel and insensitive" (182). As Ransom explains, "While in her public life Marie was overseeing her empire, writing books and suffering from unkind press attacks, her private life was a maelstrom of emotions" (Ransom 172). Bertha, nervously watching from the sidelines during the attraction, must have breathed a sigh of relief when the end finally came. When things calmed down, she and Corelli appeared to have resumed a sense of normalcy, with Corelli continuing to write more novels. Even though she was against the war in general, she did help with the war effort on the domestic front. Still, her actions were not without controversy and many of her enemies in Stratford made trouble for her, accusing her of covering up her own greedy tastes by performing acts of charity. "[W]hen it was forced on me that man was more ready to deride than worship woman, and that as a matter of fact men denied to women such lawful honours as they may win through intellectual achievement, and that in certain forms of their legal procedure women were classed with 'children, criminals, and lunatics,' I began to change my mind. In the war women worked instead of men without demur or hesitation, and taking their full share of the hardest and most menial labour…it was and is no longer possible to deny them equal rights with men in every relation of life and every phase of work. By every law of justice they should have the vote—and I who, as a woman, was once against it, now most ardently support the cause." (From 1919 tract titled “Is All Well with England?” Ransom 201). Her last major novel, The Secret Power, was written in 1921. I think that it would be successfully reprinted today, as it has a heroine that "invented an airship, driven by small circular plates of some shining substance which line the cabin" (Ransom 199). Oh, yes..STEAMPUNK!!! As Ransom says: "The story itself is slight and rather disjointed, but some of the concepts were prophetic. Marie talked of communication through sound rays which transmitted voice without wires and light rays which beamed pictures through vast distances; she also described the defensive use of force-fields and the use of the sun’s energy for power" (200). And, really, this is the reason that Corelli, because she too is "slight and rather disjointed," is so fascinating. By 1924, Corelli’s health was dire. She had already undergone what Ransom believes must have been a hysterectomy some years earlier (notably, she only allowed a female doctor to operate on her). However, in 1924, Corelli’s heart began to give out. She suffered a major heart attack in January, and she died on April 21. Corelli’s funeral was a major event, with a coffin "carried on a hand bier" and "preceded by twenty girls carrying sprigs of rosemary and two large carloads of wreaths" (Ransom 205). Interestingly, it was with her death that people began to notice that her life history was sketchy—and it has been a mystery ever since. Marie Corelli’s fame and fortune are astounding in their own right. I believe that she was a conflicted and tortured soul, but she sure could tell a story. Ransom says it best: "She was a phenomenon of her time, who like all shooting stars burnt itself out before vanishing. But the plot of her passing through the heavens must be charted because for a time she illuminated late Victorian England in a way which still has echoes for us today" (8). 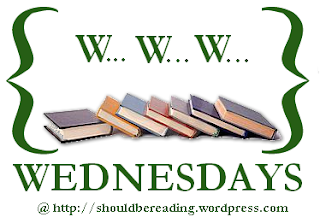 I have read a few of Corelli’s novels: A Romance of Two Worlds, Vendetta, and Wormwood. I have already given basic details of A Romance of Two Worlds. Vendetta is a gothic tale of disguise and revenge against an unfaithful wife, and Wormwood attacks absinthe abuse in Paris. But Corelli wrote about all kinds of "wrongs" in society. Like many great authors, her passion and need to speak and be heard often caused confrontation with the public—and with themselves. Corelli is no exception. I find her fascinating, troubling, irritating, and admirable—all at the same time. So, I encourage all of you to try one of her novels and to check out Ransom’s biography, which details much more about Corelli’s life than I have done here! Bhattacharya, Prodosh. "Revolt of the Angel in the House: Two Novels of Marie Corelli." Journal of the Department of English 33.1-2 (2006): 88-99. Federico, Annette R. "'An 'Old-Fashioned' Young Woman': Marie Corelli and the New Woman." Victorian Women Writers and the Woman Question. 241-259. Cambridge, England: Cambridge UP, 1999. --Idol of Suburbia: Marie Corelli and Late-Victorian Literary Culture. Charlottesville, VA: UP of Virginia, 2000. His Contemporaries. 52-58. Westport, CT: Greenwood, 1989. New Approaches to British Fiction of the 1890s. 67-86. New York: St. Martin's, 1994. Kowalczyk, Richard L. "In Vanished Summertime: Marie Corelli and Popular Culture." Journal of Popular Culture 7. (1974): 850-863. Ransom, Teresa. 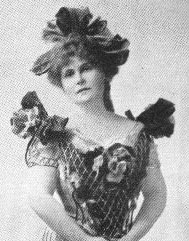 The Mysterious Miss Marie Corelli: Queen of Victorian Bestsellers. Gloucestershire: Sutton Publishing Limited, 1999.